There are private family squabbles, and then there are family squabbles that splash into public view, shining a spotlight on a bitter dispute. Take the case of Belinda Neumann-Donnelly, who sued her father, Hubert Neumann, claiming he drove down the price of Jean-Michel Basquiat’s “Flesh and Spirit,” which sold for $30.7 million at auction last May. 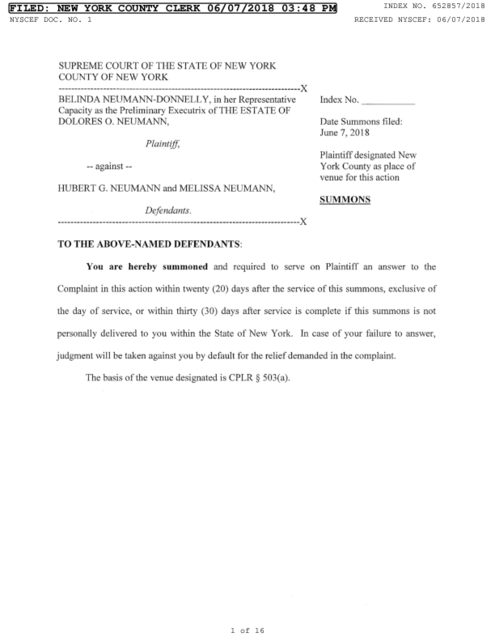 But Ms. Neumann-Donnelly, representing her mother’s estate, claims that it could have fetched far more, had it not been for her father’s interference. 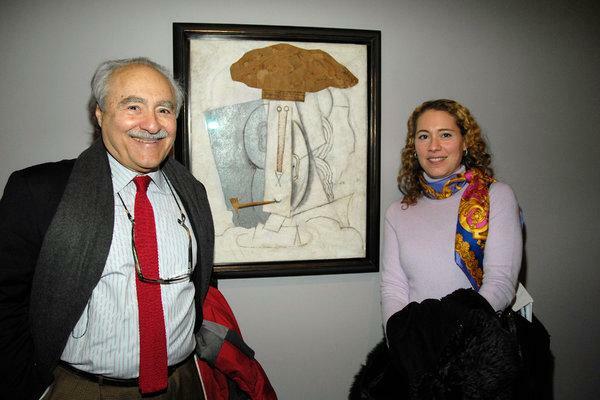 He had sued the auction house, Sotheby’s, to block the sale, an effort that she said had scared off potential buyers. Last month, Ms. Neumann-Donnelly filed another lawsuit, this time against her father and two sisters, to try to force them to sell art held in trust, which had a value estimated to be more than $50 million. Despite the large sums of money, the fight is a family squabble like any other, although one that played out in New York newspapers and trade publications. Most people would want to avoid such costly and destructive courtroom battles, but they are increasingly common. In fact, legal action among family members has become a booming business for lawyers who specialize in estate litigation. One reason for the uptick in litigation, Mr. Geida said, is that blended families often divide into factions that are rife with conflicting interests. Another reason is there is simply so much wealth now to argue over, said Amanda K. DiChello, a trusts and estates lawyer at Cozen O’Connor’s private client services practice. But what’s good for young lawyers building a career is not good for families that want harmony — or at least want to avoid squandering millions on legal bills. Avoiding costly and destructive family squabbles is both straightforward and incredibly complex. Family members must be willing to put in effort that may be unpleasant and difficult. Step one is to talk through the plan. That’s easier said than done. Ms. Christerson, who has three decades of experience advising wealthy families, said she had counseled parents who divided their estate unequally to discuss the reasons and the ramifications. Often these talks are not about dividing the money as much as they are about defining a family’s values and addressing existing conflicts. Understanding that allows parents to put a plan in place, along the lines of governance principles that companies use. “You can then say, ‘This is the contract we have as a family. God forbid, if conflict does arise, we can look back and say this is the path we should be walking down,’” said Zachary Conway, managing director of Conway Wealth Group. “During their lifetime, a particular event arose or there was a long time with no contact and the parent says, ‘I see no reason why I should give my child anything; he was never here for me,’ or, ‘He did something and I can’t forgive him,’” Mr. Nicyper said. In some instances, reaching a resolution may be impossible. Selling assets held jointly may be the only solution. Ms. Neumann-Donnelly argued in her January court filing that owning the artworks with her father and sisters was no longer possible, so they should be sold and the proceeds divided evenly. Selling assets and splitting the money is fair in the eyes of the courts, but it often does not tamp down inflamed emotions. Often, they are family heirlooms, not securities in a portfolio. There are legal strategies to address this, including an in terrorem, or no-contest, clause. In exchange for not suing the estate, for instance, the person who is disinherited is given a token amount that will be forfeited if a suit is filed. Not every state allows these clauses. Florida, where some of the wealthiest Americans claim residency, does not allow in terrorem clauses. New York allows them but with caveats. If parents do not lay out their wishes in complex family situations, they need to understand that litigation is a possibility. Previous PostPrevious Complexifier, Mr. Bezos? It Is a Real Word, Just Not in English.